Today’s blog focuses on the importance of industry memberships and associations. I have had the benefit of participating in several industry associations over the years and wanted to tell you about the ones that have helped me the most in my career and education. 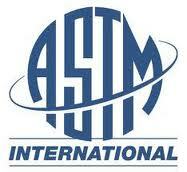 I have been a member of ASTM since 1992 now almost 20 years. I have witnessed the development of new standards and the revisions of older ones. I have made many friendships throughout the years of my involvement and have grown in knowledge on masonry construction and materials. I was able to assist in the dinner event that marked the 75 year celebration of Committee C12 on Masonry Mortars in Atlanta back in 2008. I am currently on the review committee for the Yorkdale Award. I am on the Task Group ASTM C12.03.03 for Restoration Mortars that recently published the new standard ASTM C1713 for Historic Mortars. I attend meetings when I can – they are held twice per year in different cities around the country. I am a voting member of ASTM C12, C7, C15, E36, and E07. I would highly recommend your consideration in joining ASTM as a member for $75 per year it is well worth the money and time invested. Other associations that I have joined over the years have been the Preservation Trades Network (PTN); The Stone Foundation; The Building Limes Forum (BLF); the Construction Specification Institute (CSI); US/ICOMOS; ICRI; and SWRI. Each membership is targeted toward a specific group of people, so you need to know exactly who your audience is and where you want to build contacts and continue your education. Involvement in these organizations have taught me to be open to new ways of looking at problems and solutions in my industry and have assisted me with the understanding that there are many very knowledgeable people out there ready to answer your questions if you are willing to ask. This entry was posted on November 29, 2011, 12:19 pm and is filed under Uncategorized. You can follow any responses to this entry through RSS 2.0. You can leave a response, or trackback from your own site.